With Hurrican Florence set to touch down, many are wondering if we’re to blame for the increased violence of storms. One group of researchers certainly believe so. Hurricane Florence is almost upon us. With a storm estimated to be the size of Victoria about to walk on land, many are marvelling at the girth and violence of it. With nearly forty inches of rainfall expected to arrive with Florence, the speculation has begun as to how much of it is our fault. One group of academics has attempted to scale our guilt. According to their work, the team estimates that forecasted rain totals are 50% higher than they might have been if we weren’t so keen on fossil fuels. 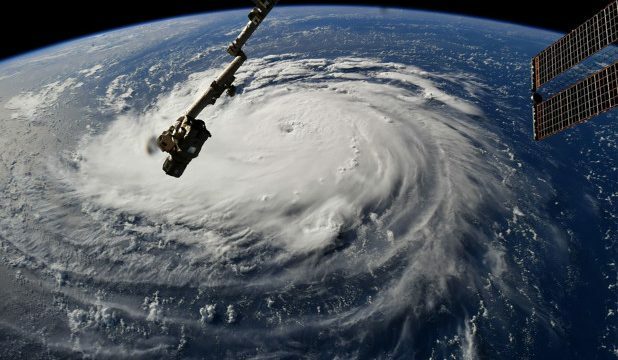 Their report details how the forecast for Florence might have looked if there were no people burning coal, gas, or oil – no cars, no trucks, no smokestacks. “It’s surprising in the sense that its an awfully big percentage,” Kevin Reed, a senior author of the paper disclosed to Business Insider. Mr Reed plans to take Hurricane Florence for data, but the general theme of more damaging storms is here to stay. “The impacts of climate change are very real, and they’re occurring already,” he said.